Rowe Morrow’s definitive guide to Permaculture Design Principles. Second Edition. 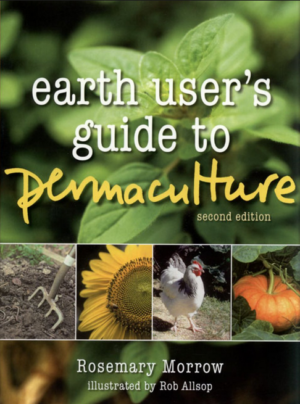 Rowe Morrow’s Earth User’s Guide to Permaculture is a valuable resource used internationally and translated into 7 languages. “As the title implies, we are all users of the earth. Earth User’s Guide to Permaculture, a much-loved doorway for many entering the movement, offered a handbook for managing our footprints when it first appeared in 1993. We are pleased that it has been revised and brought back into print. This revised and much expanded edition establishes Rowe Morrow as a primary contributor to the permaculture canon. Her strong and distinctive voice will resonate for many non-scholarly learners and those who primarily seek direction for practical work. In this area the book excels. The author has worked for many years in war-torn countries: Vietnam, Cambodia, Afghanistan, Albania – among the poorest and most desperate of the world’s people, helping women and men, but especially women, re-establish their lives, families and communities. Speaking from this experience, her simple words are powerful and eloquent. Addressing home gardens, food and nutrition she speaks against a backdrop of hunger. Who could fail to listen. 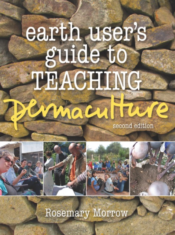 Rowe Morrow has also written a curriculum guide for Permaculture teachers, and she knows the subject matter well. 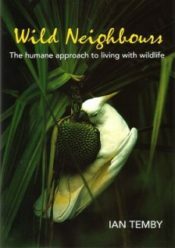 This book is written for everyone however, and its amply illustrated text is highly accessible. 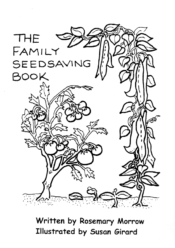 You can open it anywhere and find a wealth of practical information arrayed before you … Despite being easy on the first reader in permaculture, the text leaves out nothing essential. It emphasizes design from the very beginning, and one of the five main sections covers social design: money systems, bioregional organizations and communities – key subjects often neglected by plant-or-building oriented practitioners. 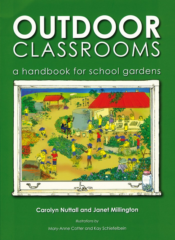 Accomplished designers and others knowledgeable about permaculture will find inspiration in these pages to enhance their own practices. Notes on permaculture for the office, shop and factory explore everyday but often neglected venues for making change. The unit of Preparation for Disasters is more than topical, with its references to Hurricane Katrina and the tsunami of 2004. 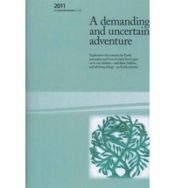 It is the best short compendium I have seen in print on the the subject, recognizing not only the immediate challenges of disaster but the long term implications and requirements for recovery. Permaculture designers with any exposure to international projects have long understood that the majority world is on the leading edge of the 21st century in many ways. As hunger, poverty and environmental catastrophe continue to spread, they will move from the present margins of world society toward its metropolitan centres. Permaculture offers us tools to prepare for the rolling catastrophes of the coming decades. 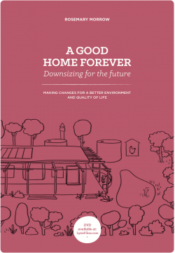 As householders realize the imperative of taking responsibility for their shelter, food, energy, water, waste and community relations, the book should find a wide readership. It has the simplicity and directness of a field manual, and the amplitude of experience and depth of understanding to cover the entire range of home applications from small city apartments to rural acreages. As in the first edition, Rob Allsop’s charming line drawings and charts illustrate every section, bringing horticulture, environmental design and the home economy vividly to life. Great book! 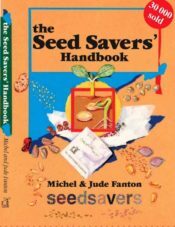 Has a lot of useful info and really helped me with my garden at home. Would definitely recommend this book.